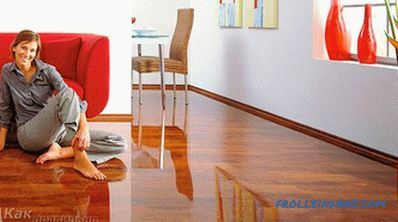 When making repairs in the apartment, the owners tend to choose high-quality flooring, and increasingly prefer laminate. 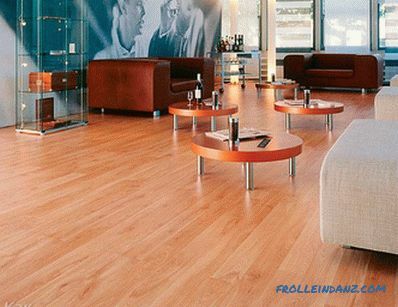 What is the advantage of this flooring over the other, and how to make a choice, so that you do not regret about it? What is superior to other coatings? 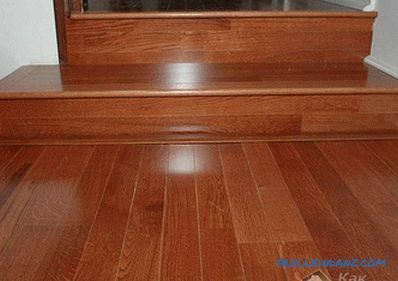 Laminate is a convenient and practical building material used for flooring, which is a pressed fiberboard. Each lamella is equipped with a four-sided locking system. With this system, the coating is easily laid on the floor. 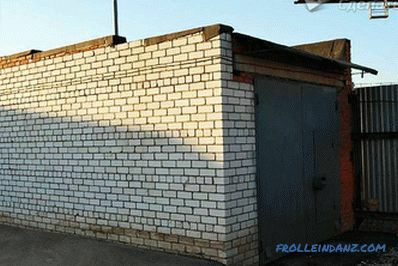 Even an unprofessional builder can handle its installation. 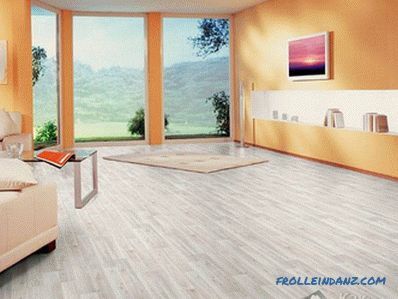 If you purchase a branded laminate, each panel is treated with a special coating based on melamine resins, which provides it with high resistance to water and durability. When purchasing a cheap option, you need to know that it is not so processed, therefore the moisture effect on it is destructive, but the lamella spoiled by water can always be replaced with a new one. For laying it is necessary to level the surface. Very minor irregularities help to smooth the substrate. 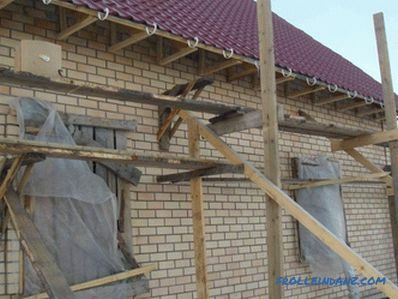 This building material also carries loads easily. It is not pressed under the weight of furniture, so there are no dents left on it from the legs of sofas, armchairs. 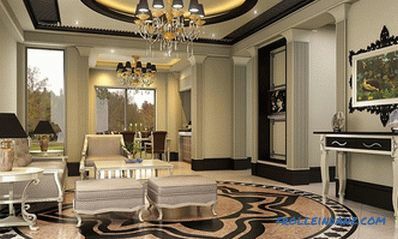 If in your area the lamellas are sold by the piece, then it is always possible to calculate exactly how much material will be spent on the repair of rooms, corridors, hallway. In order to bring the material home, you do not need to hire a cargo vehicle - it can easily fit in any passenger car. This coating is laid on the floor by a dry method, which allows you to avoid the appearance of excess dirt, which is always enough during repair. Choice laminate for the apartment - an important and responsible task. In order not to be disappointed in the material, you need to know what to look for when buying it. To understand whether a particular type of living space is suitable or not, several numbers on its packaging will help. 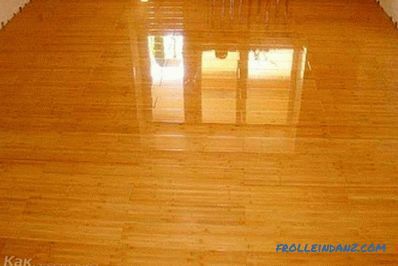 This flooring, like many other types of products, is divided into classes. It may be intended for domestic, residential or industrial premises. In the marking of the manufacturer indicates a few numbers. The first one talks about how thick the material is (from 2 to 4), the second about how strong this type of laminate is (from 1 to 4) and with what intensity it can be used. If the first digit on the packaging of the floor covering is "2", then this means that the laminate can be used for laying in houses, apartments, household premises. Its thickness must be at least 6 mm. But this view is not the most durable. He of all types has the lowest wear resistance and impact resistance. If it is, for example, put in the nursery, it will not last long. 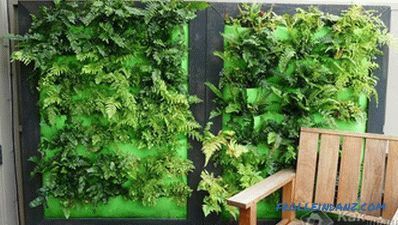 It can be laid only in rooms that are used periodically. 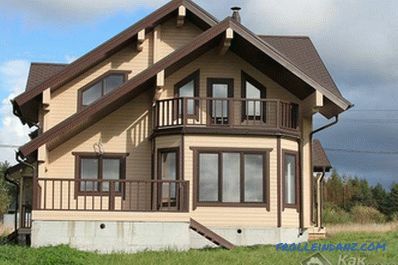 For example, in the living room, if it is only a place for family spending time in the evenings or on weekends. But on this floor it is better not to move the furniture once again. 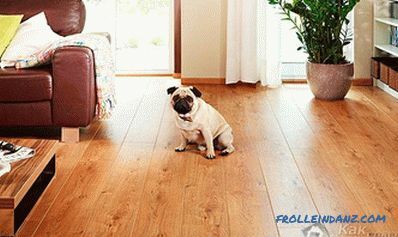 If the owners have this habit, then they are recommended for the living room to choose another type of laminate. The coating with the numbers "33" and "34" on the package is considered more durable. The thickness of the first is 7‒10 mm, the second - 10 --12 mm (for different manufacturers, these data may vary). 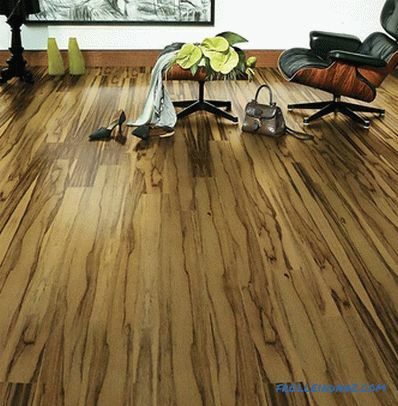 These types of laminate are stacked in office and industrial premises. According to the first, people can walk and run as much as they like, and according to the second, they can even move around. Therefore, if the master children are active, they like to run, jump, play with a ball - these two types will be a good solution for the children's room. These same species are best laid in the hallway and corridor. Usually there is the largest load on the floors. Why should you know strength? 4 - over 25,000 revolutions. The strongest laminate that has the digits "3" and "4" on the marking. If the tyber made less than 6000 turns, then the coating that failed to withstand such a test cannot be considered a quality floor covering. So, what laminate choose for an apartment? It is necessary to choose taking into account the values ​​of both figures on the package.If these are numbers 2 and 1, then it is better to refuse such a view. He will not bring the owners anything but disappointment. Good is the coverage with the numbers 3 and 2 on the package. It can be laid on the stairs, in vestibules. But only under the condition that they do not have high loads. If the owners want to choose a really good and high-quality laminate for the family nest, then it’s better to start considering the goods with numbers 3 and 4, 4 and 2, 4 and 3, 4 and 4. 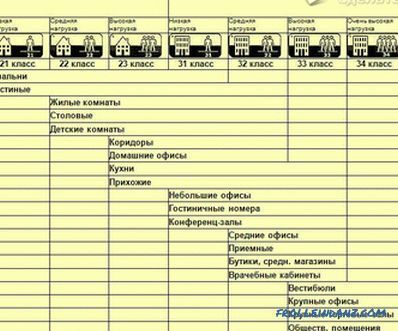 These values ​​on the package indicate that the coating has sufficient thickness and high strength. Floor covering can be safely bought for residential premises. It will not be so easy to break and even scratch. Not necessary to rush into buying even a very expensive laminate, until it is checked how safe it is for health. To check for quality, you should buy one lamella and lower it into water for 20 minutes. If, after this time, the lamella begins to spread a sharp, nasty smell around it, it means that it was released using substances harmful to human health. 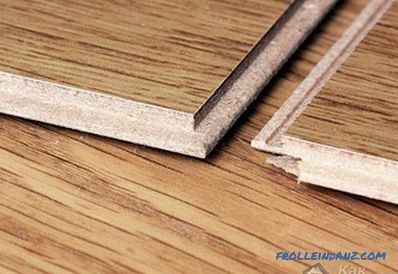 The batch from which the lamella was purchased for the test does not meet the environmental requirements of this type of flooring. Seduced by the reliability of well-known European brands in this case should not be. Many of these enterprises produce laminate using formaldehyde to sell products in third world countries. Such outdoor material can often be found in Russian stores. Strength and geometry of the slats. The stronger their base, the HDF plate, the less likely it is that during operation there will be gaps between the lamellae. The ideal geometric shape will facilitate styling. Whether or not the lamella locks are processed with wax. Wax hides the flaws of the castle, makes installation easier, does not allow the coating to creak after installation. Is the HDF cooker coated with a water-repellent compound? This property helps repel moisture. On the lamella pattern. 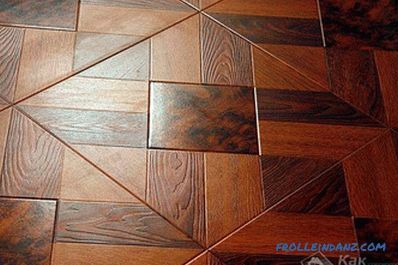 If the owners want to buy laminate, which will be most of all like a natural wooden board, the pattern in the laying process should be repeated less frequently. Wooden boards are not the same! Chamfering the lamellae. Chamfered lamels are more durable. Serve the owners 2‒3 times longer than the slats without chamfer. Chamfer makes the gap between the lamellae less visible. Which flooring to choose: parquet or laminate. 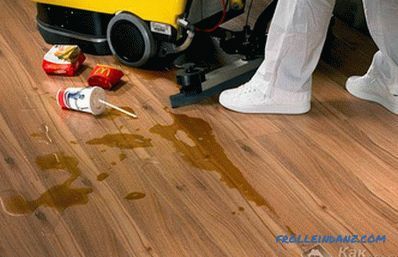 What to do if laminate creaks. Laying laminate on an uneven floor. Care for laminate flooring in the apartment. 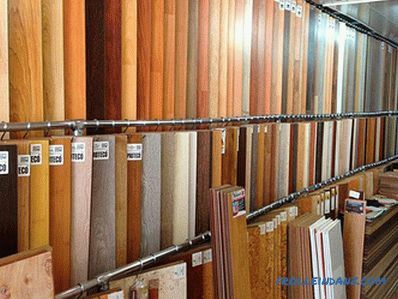 How to choose a substrate under the laminate. You can appreciate the beauty of this coating and choose the appropriate interior option by photo.